The six- to twelve-year-old child has a mind that is reasoning, abstracting and imagining, according to Maria Montessori. When the child turns six years of age, the stage of the absorbent mind (which lasts from birth to age six) is gone and the stage of the reasoning mind begins. Physically, the six year old loses his baby teeth, and grows taller and thinner like a beanstalk, gone is the preschooler. The elementary child that emerges has a strong "herd instinct" and very much wants to be a part of a group of children his own age. If a family is home-schooling, this is a good time to involve your six- to twelve-year-old in activities outside of the home: Cub or Girl Scouts, a swim or sports team, Bible class or group church activities, art or music classes, or nature groups in your neighborhood and local community, as well as connect socially with other homeschoolers. The emerging elementary child seeks adventure and looks for "acts of courage" in other people, including people in fiction, movies, the news, the local community, sports, and comic books. This is a good time to introduce Mythology to your child. This "age of reason and of values" creates in the six- to twelve-year-old child a strong interest in religion and law, in right and wrong. This is also considered the "why?" period: In the previous stage of the absorbent mind, the world and everything in it was experienced sensorially, but now this is not enough. The elementary child wants to know what, when, where, how, why, and why not. This is also the stage when the six- to twelve-year-old learns about life outside the home and around the world, and out and into the universe. Subjects like geography, history, culture, art and astronomy can be introduced and expanded upon. It is the time when he learns to respect God and Mankind. The child of this period can explore and experience the outside world and community as part of a larger group. He learns about acceptance, loyalty, discipline, winning, and losing. 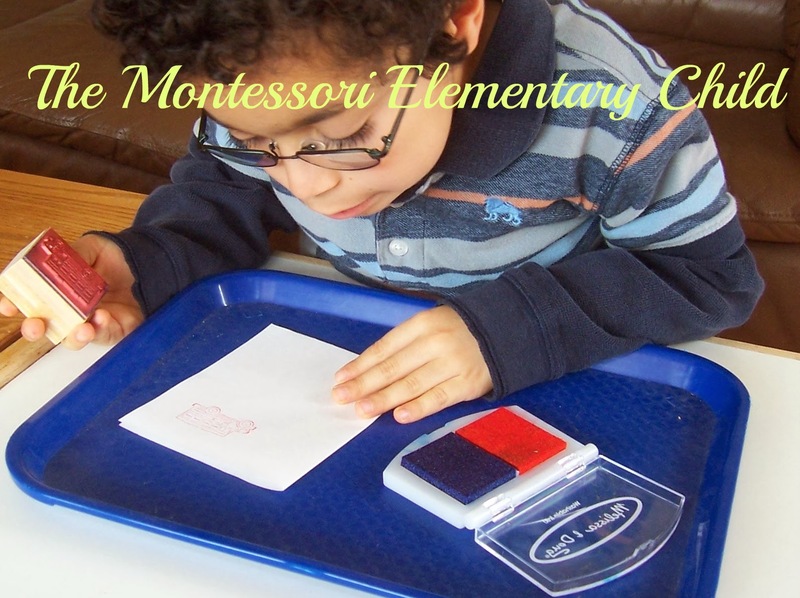 The Montessori educational materials are still sensorial materials which give him concrete experiences and leads to abstraction; but he can no longer enjoy the freedoms he had in the pre-school stage. He does not have freedom of choice to work or not to work. Instead, this is the time to "perfect his tools of reading and writing and using time constructively." His choice thus becomes what kind of challenging works to do. No more does the elementary child have the freedom to work as long as he wants to with the Montessori activities. Now he has to complete a project. Whatever he chooses to do, gets finished. Spontaneous Activity In Education by Maria Montessori: Maria Montessori's presentation of her educational philosophy and methods for children from ages seven to eleven. The books by Maria Montessori listed are often rare, hard to find, and or too expensive to buy used on Amazon.com. However, a little known secret is that you can get them new and affordable from Nienhuis.com (and they are world wide so you can order from your own country). You may also be interested in my Montessori and homeschool PDFs and programs for birth to age nine at Montessori for the Earth.